Corey Malcom is director of archaeology at the Mel Fisher Maritime Museum in Key West. Mel Fisher founded the museum that bears his name. He found treasure, including gold bars, from two ships that sank in a hurricane off the Keys in 1622. Museum visitors are still fascinated by the gold bars at the Mel Fisher Maritime Museum - but they can no longer touch or lift one. The 1622 fleet was loaded with gold and other treasure and goods from the New World - desperately needed in Spain where the Thirty Years War was taking a toll on the economy. Silver mined in the New World was turned into bars and coins before being shipped back to Spain. The case was cold until last fall, when law enforcement officers received an anonymous tip that led them to two suspects. They were charged in federal court in January with conspiracy against the United States and theft of a major artwork. Richard Johnson, of Rio Lindo, Calif., pleaded guilty in April. He’s the one who actually broke a piece off the case and slipped the gold bar into his pocket. Last week, his co-defendant Jarred Goldman, 32, of Palm Beach Gardens, was convicted of the same charges after a two-day trial. 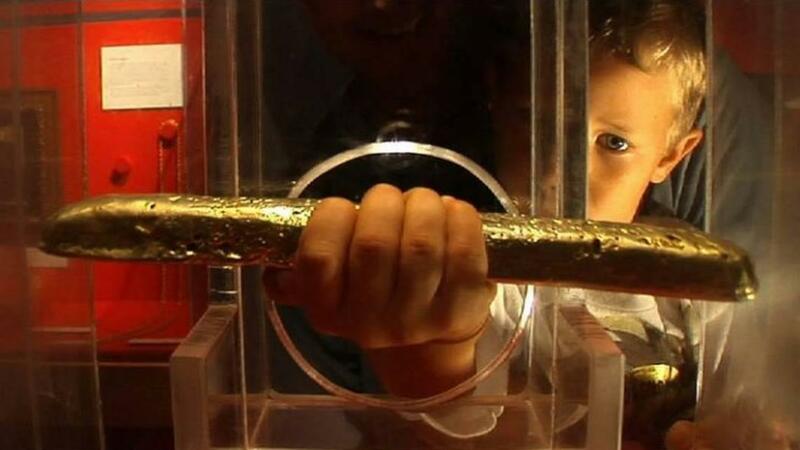 The 'lift-a-gold-bar' case was one of the most popular exhibits at the museum - until 2010, when two men stole the bar. Both are scheduled for sentencing in July. The two charges carry a maximum sentence of 15 years. Corey Malcom, the museum’s director of archaeology, was the state’s final witness at Goldman’s trial. 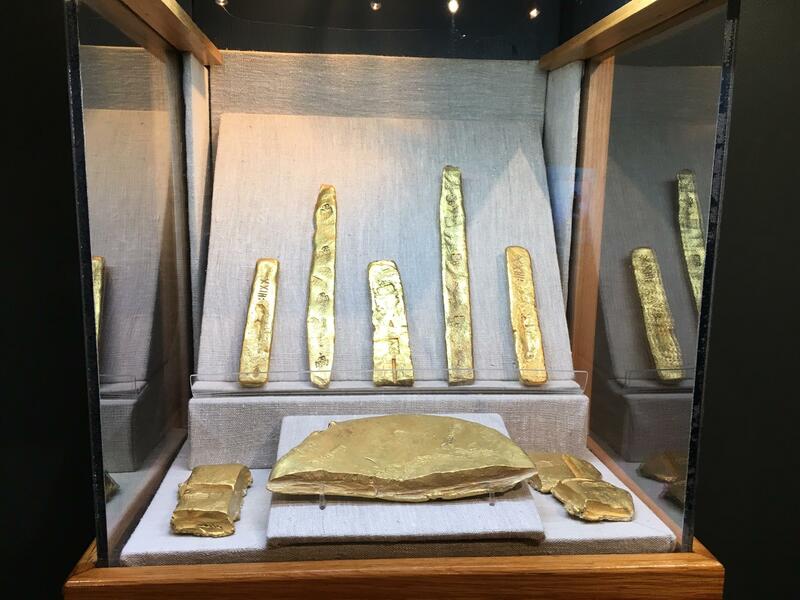 He said the museum is still feeling the loss of the gold bar, which was recovered in 1980 by treasure hunter Mel Fisher from the Santa Margarita, a Spanish galleon that sank in a 1622 hurricane off the Lower Keys. It was part of the same treasure fleet as the Nuestra Señora de Atocha. “People loved it,” Malcom said of the gold bar. Visitors still come to the museum wanting to touch and lift the bar, he said. Since the arrest, Malcom has seen one small piece of the bar, which the FBI recovered. Judging from that piece, he believes the bar was split down the middle, lengthwise and then chopped up laterally into bits — probably about 30 pieces. The museum has no current plans to display that one remaining piece. Malcom said the insurance claim on the 10-inch long bar was $100,000. But that’s not the value he places on it. The Mel Fisher Maritime Museum still displays gold bars from its collection - but has no plans to create a new 'lift a gold bar' exhibit. Malcom said he isn’t sure why so many people are fascinated with treasure — the gold, silver and emeralds that made Mel Fisher famous and are displayed in the museum. More prosaic items are also part of the museum’s displays. Malcom said it’s those artifacts that really connect us with the past. Malcom said the museum has no plans to install a new “lift a gold bar” exhibit. For one thing, the rest of the gold bars in its collection are softer than the original piece that was used. 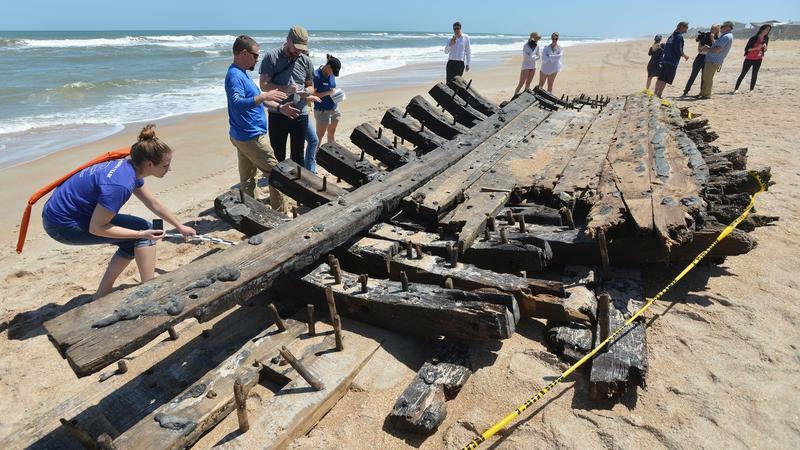 Now the museum is focusing on new programs and planning for the upcoming 400th anniversary of the sinking of the treasure fleet that made Mel Fisher famous. “What we want here is for our visitors to understand these ships in their entirety. A galleon wasn’t just about gold bars and silver bars. It was about a whole bunch of people doing business and living their lives and existing 400 years ago,” he said. That means looking at all the parts of the ship.